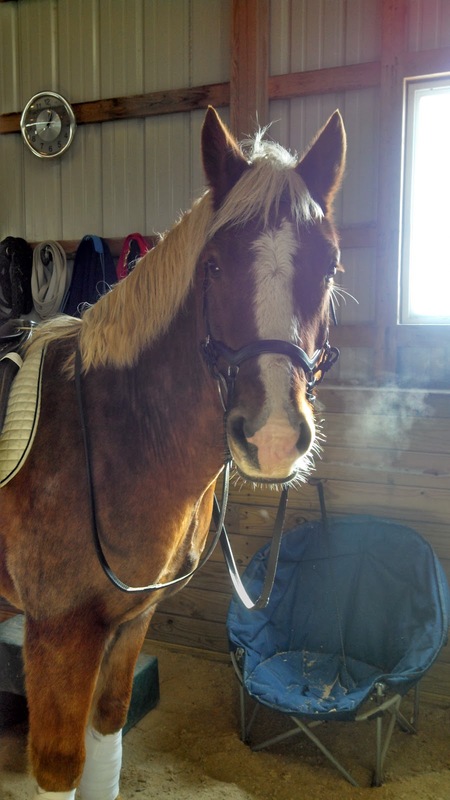 Frozen pony breath, high of 21 today. Hot dog. The climate control feature is fantastic, since I'm all about minimizing heat on tendons. I love them! 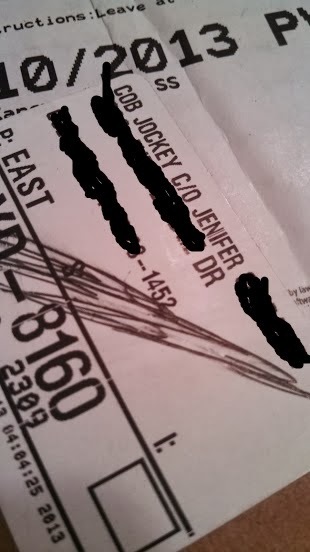 I'm not entirely sure who sent them because we're all so understandably stingy with last names, but I have a good guess: Karen of Bakersfield Dressage? Was it you? To my Secret Santa giftee, I'm mailing my package tomorrow, so don't be sad if you haven't received yours yet - it's coming! Woo hoo!! I can't wait to see what I get and who got me!! Awesome! I sent mine Blogger gift out Friday! This was such a fun idea! My gift goes out tomorrow a.m. - don't worry secret Santa receiver! Haha, this can be the official "Don't worry, it's coming!" post. Emi will look great in white too with those black legs! Woo hoo! I like it. Dressage is so classy. YEAH!! I'm so excited people are starting to receive their gifts!! And I must say, Connor looks stunning in those polos! White polos definitely take dressage to the next level, I don't care what anyone says! Okay good, I feel like you have validated my opinion! Looking great! 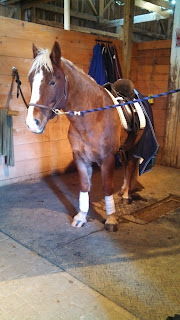 Definitely looking legit for dressage! I'm so glad I got in on the blogger gift exchange! This is just too fun to follow!! 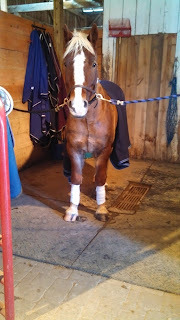 Awwww, fancy socks just demand striking black polos! Yep, it was me. :0) I wanted to wrap and send a card, but we have ZERO tack stores within a hundred miles of me so EVERYTHING must be ordered and shipped. Had I shipped it here, there was no way it would have made it to you in time for Christmas. It was TONS of fun reading through your blog posts to see what you and Connor would most want. 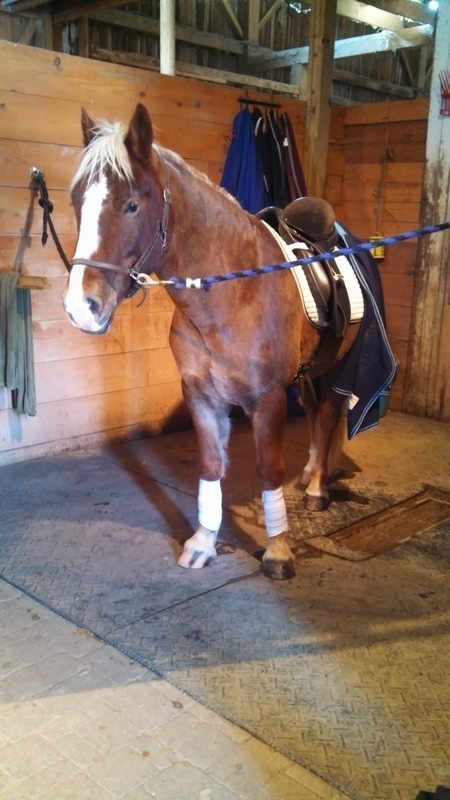 And since I too ride a smaller than average dressage horse (no warmbloods in my barn) finding sizes that work for the shorter guys can be quite a challenge. I truly hope they work for you guys and if not, pass or trade them for something else. No worries, I was delighted to get something from SmartPak with Cob Jockey on the label and being a true shipping procrastinator, I totally understand! I've loved going back through your posts and getting to know you recently too. 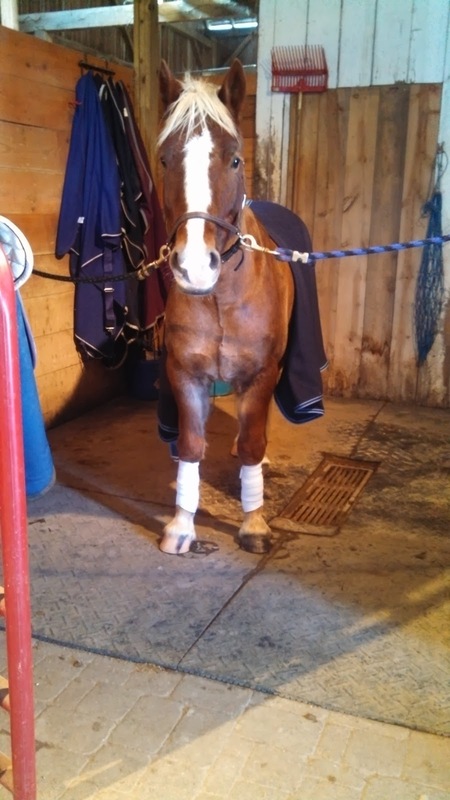 And I feel like the polos, being a gift from a Dressage rider way further along than we are, will bring us good luck as we pursue our Big Dressage Goal next year! Thank you again!